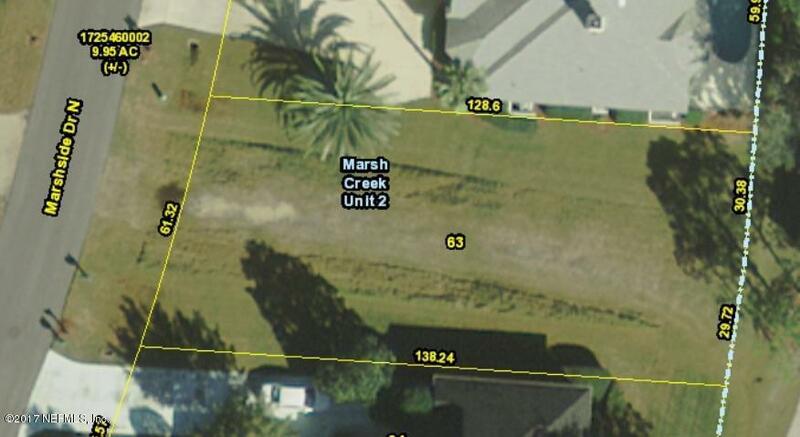 Build your dream home on this cleared lot in Marsh Creek on Anastasia Island! Lawn maintenance is included with your HOA for easy, care-free living. Marsh Creek is a gated golf course community. Optional membership includes golf, tennis, fitness, and dining. Just a short distance to the beach, Historic Downtown St Augustine, restaurants and shopping. Water tap is up to date, a great savings for you.